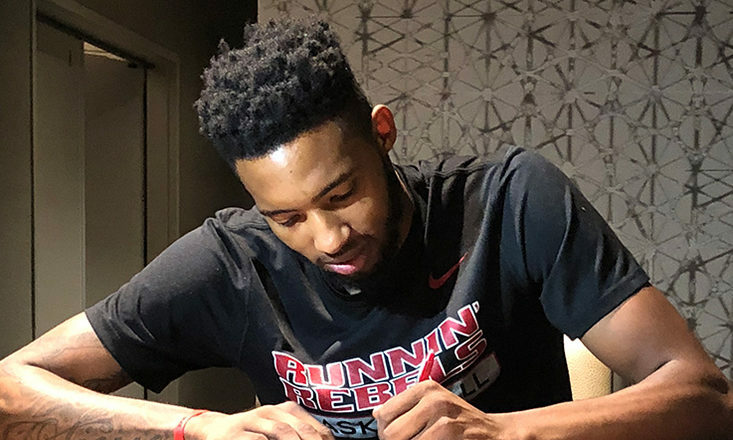 HEAT SIGNS DERRICK JONES JR.
MIAMI, July 1 – The Miami HEAT announced today that they have signed forward/guard Derrick Jones Jr. As per club policy, terms of the deal were not disclosed. Jones Jr., who was originally signed to a two-way contract by the HEAT on December 31, 2017, appeared in 14 games (eight starts) with Miami last season and averaged 3.7 points and 2.4 rebounds in 15.2 minutes of action. He spent 13 games with the HEAT’s G League affiliate, the Sioux Falls Skyforce, averaging 19.9 points, 7.8 rebounds, 1.9 assists, 1.69 blocks, 1.46 steals and 29.1 minutes while shooting 51.2 percent from the field. Prior to signing a two-way contract with Miami, Jones Jr. spent time with the Phoenix Suns and their G League affiliate, the Northern Arizona Suns, earlier in the season where he totaled nine points, four rebounds, four blocks, three assists, a steal in 33 minutes of action during six games with Phoenix and averaged 15.4 points, 7.3 rebounds, 1.81 blocks, 1.8 assists, 1.13 steals and 28.9 minutes in 16 games with Northern Arizona.